Sorry, I just have to come back to this record. If like me, you look for tracks that have their own self-contained narrative, that unravel, that are filled with sweet and tender embellishments, you'll really struggle to find anything better than the Extended Vocal Mix. There are a number of All Loved Out remixes, but this version can only be found on this limited promo copy. There are 3 acts to this piece of music. The sombre opening, the rolling bassline + percussion jam-out, and finally the serene piano solo that brings to a close an emotional 11 minutes. I was lucky enough to hear DJ Sprinkles play this at 4 am to 200 people in Bristol in 2015, and I'll never forget what the sonics of this record did to that dance space and the people within it. I can only hope to experience something like that again, but given the state of dance music and its incessant demand for thumping kick drums, I doubt it. I really wish I could find more dance music like this. The emotion, the subtle nuances in the production, the section changes. Where is this kind of writing/production/thinking? Where can I find more? I'm unconvinced much of it really exists beyond people like Joe Claussell or DJ Sprinkles. If my house was on fire, this would be the record I'd grab. This record is of "sincere" and utter "beauty",so much so that believe it or not my friend had the song played at his wedding ceremony as he walked down the isle! That day whilst listening to it at that moment almost brought a tear to ones eye,as people would agree it's an "emotional" song at the best of times.Great Memories,Conor. 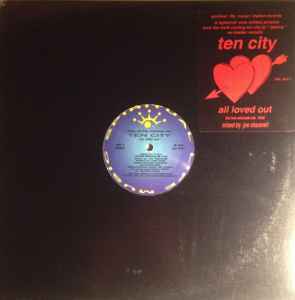 Here is the link for Ten City "All Loved Out" (Extended Vocal Version) - a sample of the above release until someone uploads it correctly to You Tube.